Rookies Bryce Harper and Yu Darvish have been making waves, both in the MLB and with collectors, but there are some other notable rookies that could be the next sensation. They also happen to be signing autographs for future Topps Baseball Card releases. 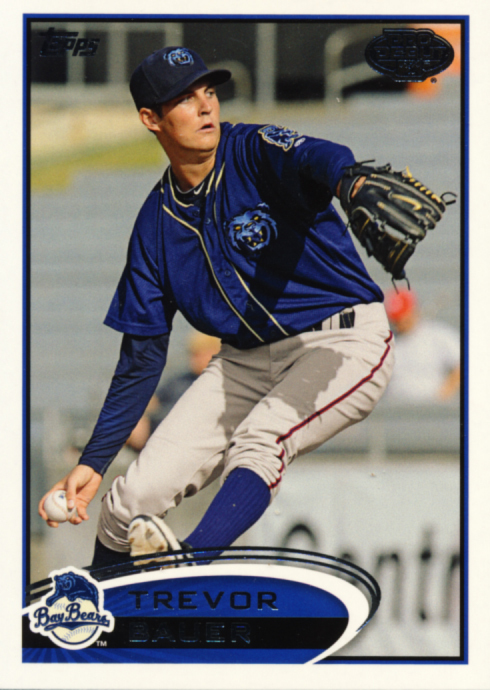 Just featured in our 2012 Topps Pro Debut box break recap and review, Bauer has been making a big impression on minor league fans, not only with his 11 – 1 record this year, but for his pregame warm-up routine that includes foul pole to foul pole tosses. He got “called up” and will join the Diamondbacks tonight in Atlanta for his MLB Debut. Bauer’s first Autographed Rookie Cards will be in Topps Finest. Future signings include Topps Chrome, Triple Threads, Bowman Chrome, Topps Updates, Five Star and Bowman Sterling. Middlebrooks was just named the AL player of the Week after hitting 2 HRs and 9 RBIs with a .348 batting average for the week. add to that the recent departure of Kevin Youkilis and it looks like Middlebrooks will own the hot corner at Fenway for some time to come. Middlebrooks has been announced as the 2012 Bowman Lucky Redemption # 3 that will be redeemed for the on-card auto pictured above. 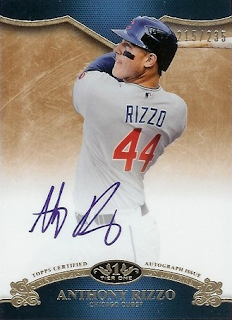 His autograph will also be in the upcoming Topps Finest, Bowman Chrome, Topps Updates, the all-new Five Star and Bowman Sterling. Rizzo went 2 for 4 and drove in the go-ahead run in his first game with the Chicago Cubs, who rallied for a 5-3 victory over the New York Mets on Tuesday night. You can find his autographs in the recently-released Tier One and the upcoming Triple Threads, Topps Updates and Five Star.